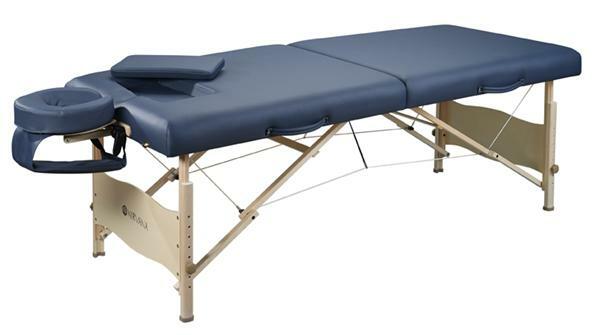 The Zen Massage Table Package offers more features than any other student table on the market including our state of the art contoured table top. The patented Breast Recess and Neck Contour features provide your clients with unparalleled comfort during face down massage. The Breast Recess and Neck Contour work together to alleviate pressure on the breast and allow the spine to relax into a more neutral position. Massage Therapists will find their work easier because the musculature of the back is more relaxed making palpation, pressure and stretching easier. 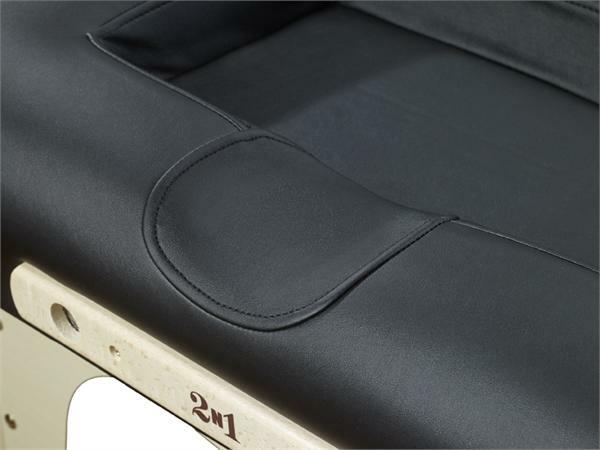 The pillow insert can easily be replaced for male clients or supine (face up) massage. You may also leave the pillow insert out during face up massage for greater access to the neck and shoulder region. The Zen table is built with hardwood, deluxe PVC-free EverSoft Vinyl and multi-layer, CFC-free foam. The Zen has a working weight capacity of 500 pounds. The table is portable at 33 pounds with a table top that measures 30 x 72 inches and is height adjustable from 24 – 34 inches. The Zen Massage Table Package includes a double action adjustable face cradle with our new face pillow made from soft, molded foam expertly contoured to allow maximum comfort and includes slotted foam for improved air flow and comfort, arm sling and carry case with front pocket.